Two buildings in an urban block setting. 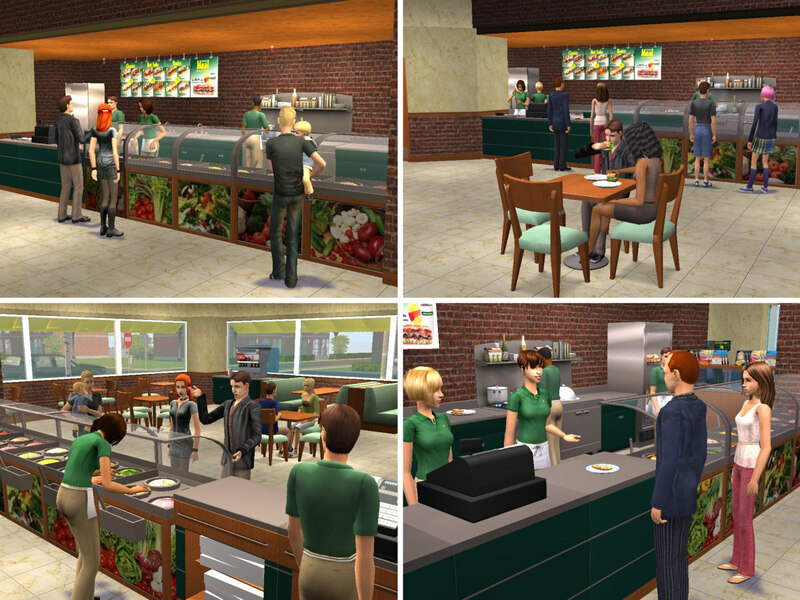 The MetroSubs building is four stories with the restaurant on the ground floor. 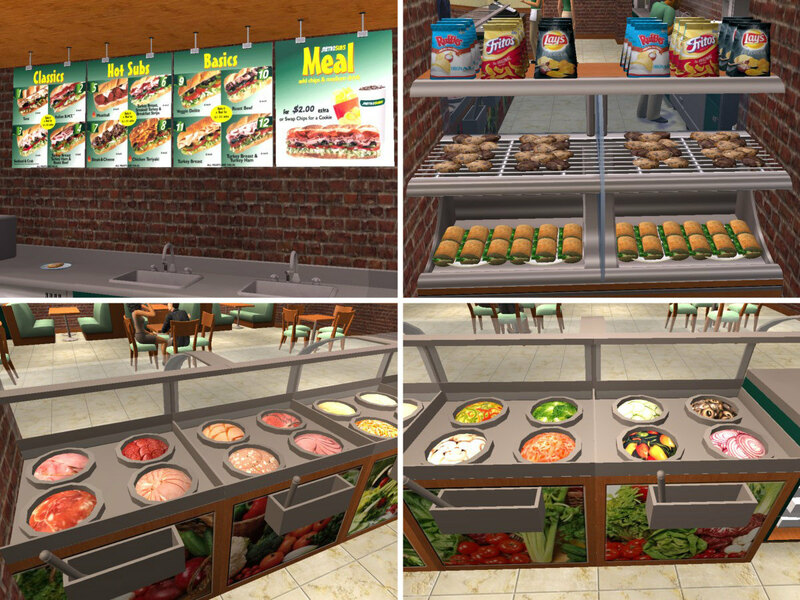 MetroSubs includes a dining area, order counter, kitchen, restrooms, manager's office and employee break area. Each floor above is an unfurnished 2-bedroom, 1-bathroom apartment with a den and great room living/dining area. The second building contains three stories. 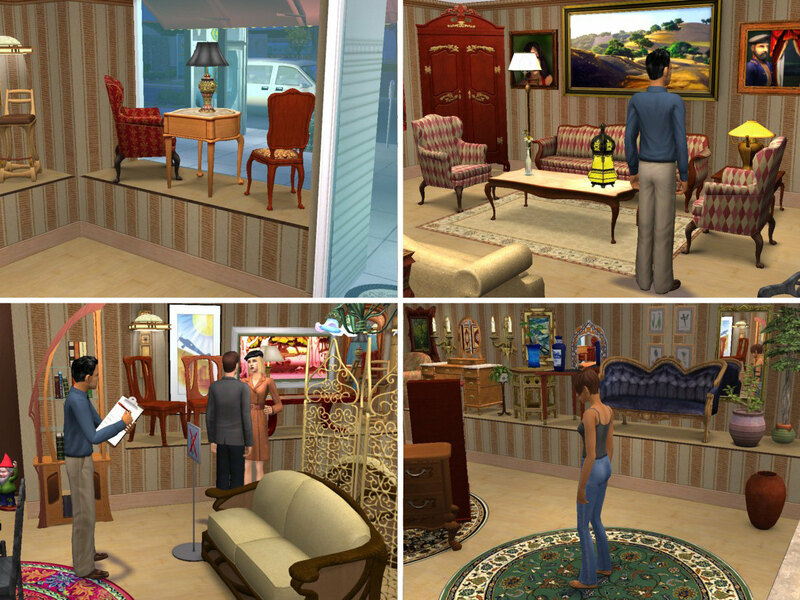 Timeless Treasures Antiques, a furniture store using in-game furniture, is located on the ground floor. It includes a restroom, back room and manager's office. 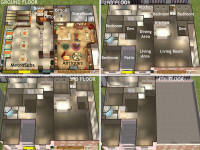 Each floor above is a two bedroom, one bathroom apartment with a den, great room living/dining area and large kitchen. 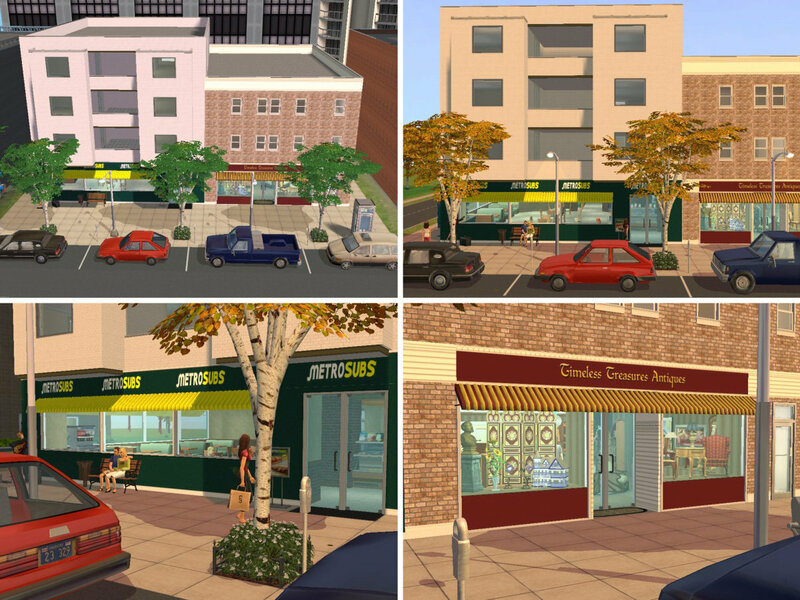 This is only a community lot and the Apartment Life expansion is not needed to play it. 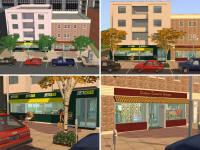 To play it as an apartment you will need to add the AL doors and change the lot zoning. Decorative cars are parked at the street. However, you can use invisible driveways turned sideways to create parking for actual vehicles. 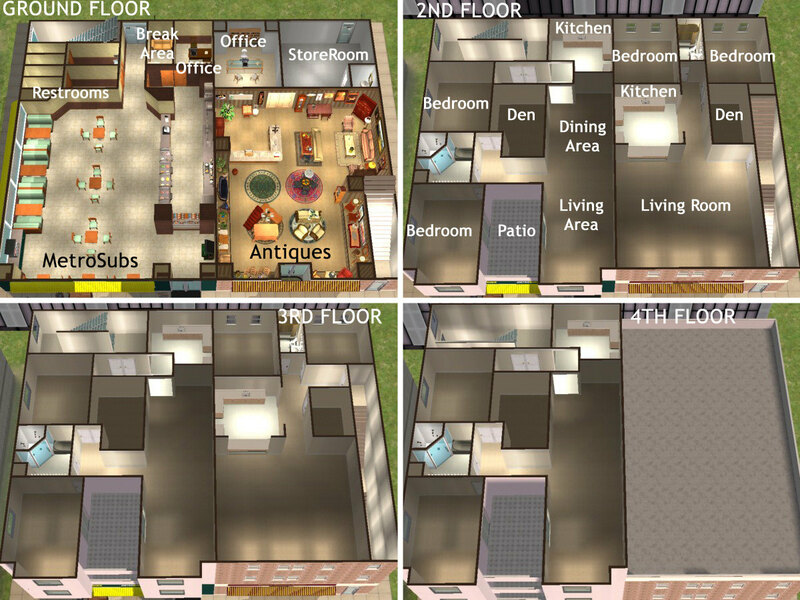 Apartments & Shopping on the Same Lot hack is recommended if you want functional apartments. 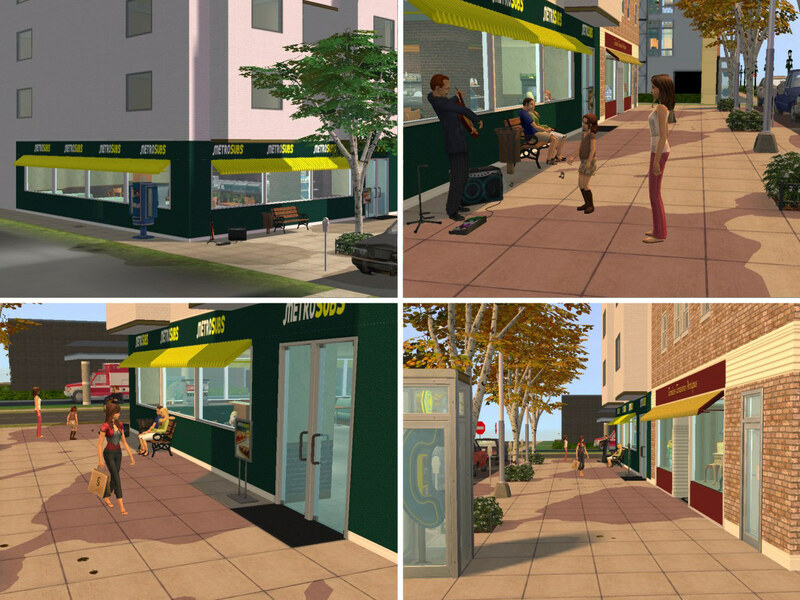 Sleep on Community Lots hack is recommended if you do not have the AL expansion but want your Sims to 'live' in the apartment. Cheese Subs are the sandwich shown in many of the photos and look great in the restaurant.